Product prices and availability are accurate as of 2019-04-16 01:11:21 BST and are subject to change. Any price and availability information displayed on http://www.amazon.co.uk/ at the time of purchase will apply to the purchase of this product. Batch 45 of the mighty Aberlour a'Bunadh. 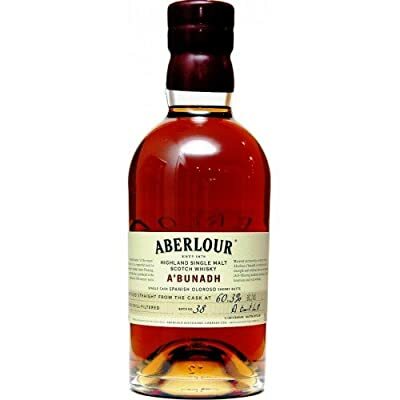 Matured in Oloroso butts and bottled at natural cask strength without chill filtration, the high standard Aberlour maintain across these batches is admirable. Highly recommended.